Thanks, Mail Carrier | The Fairies Return in Tinker Bell and the Legend of the NeverBeast! The Fairies Return in Tinker Bell and the Legend of the NeverBeast! While we're big fans of most anything fairy-related around here, I have to admit that we've been ready for something new for quite some time. What have you been up to, Tinker Bell? The suspense has been killing us! Fortunately, the wait is over as Tink and her friends have returned in a legendary new adventure with today's release of Tinker Bell and the Legend of the NeverBeast on Disney Blu-ray Combo Pack, Digital HD, Disney Movies Anywhere, DVD and On-Demand! 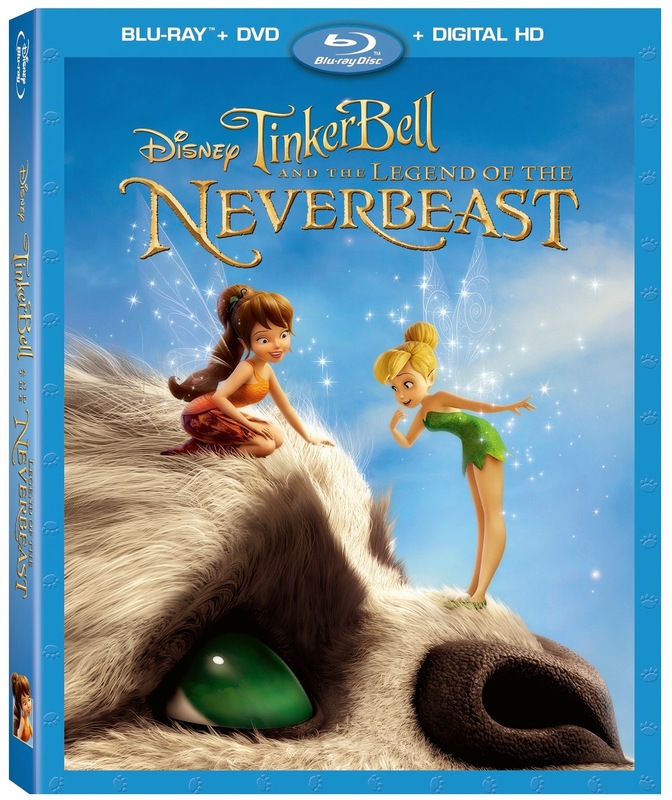 Released today, March 3rd, Tinker Bell and the Legend of the NeverBeast brings viewers back to Pixie Hollow for a heartwarming and humorous adventure bringing an ancient myth to life in the way that only Disney can. The film shares how the myth of a fabled creature sparks the curiosity of Tinker Bell and her good friend Fawn (voiced by Ginnifer Goodwin from TV’s Once Upon a Time), an animal fairy who's not afraid to break the rules to help an animal in need. ...is not welcome in Pixie Hollow and the scout fairies are determined to capture the mysterious beast, who they fear will destroy their home. 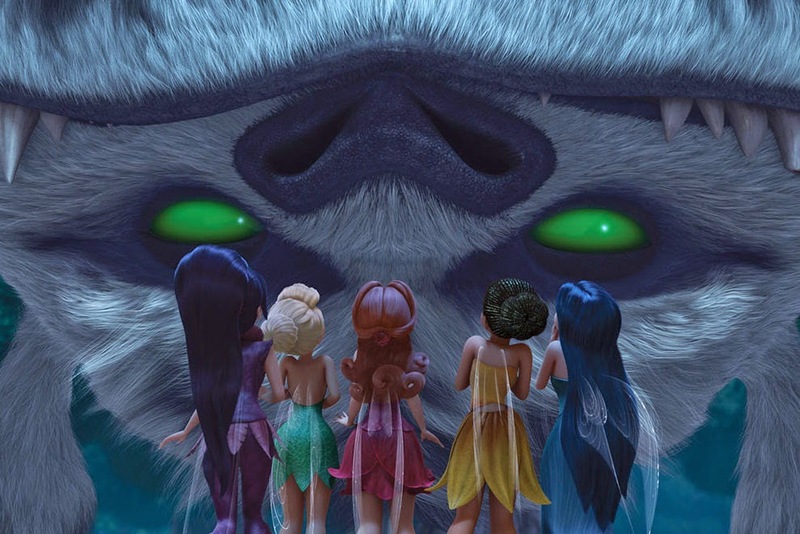 Fawn, who sees a tender heart beneath his gruff exterior, must convince Tink and her fairy friends to risk everything to rescue the NeverBeast. But will they agree to help her? Unsurprisingly, both Big Sister E and Little Sister B have been beyond excited to watch this movie ever since they started seeing commercials and have loved every minute of it. Disney's animation is beautiful, the music is catchy and the relationship between Fawn and the NeverBeast makes you root for a happy ending. We have had no problem watching this time and time again and I have no doubt that it will be a favorite well into the future! 5 Essential Ingredients to Getting Gruff — Uncover the 5 Essential Ingredients (story, design, animation, sound, and making Gruff) in making Tinker Bell and the Legend of the NeverBeast. My Dad's Movie: The True Story of the NeverBeast — Director Steve Loter takes us on a personal journey of how his young daughter taught him life lessons that became the story for Tinker Bell and the Legend of the NeverBeast. Jeff Corwin's Guide to Real-World NeverBeasts — From high above the trees to the darkest depths of the ocean, Jeff Corwin takes you on a wild adventure around the world where you will discover some creatures that actually exist in the real world. Tink'n About Animals — From a float of crocodiles to a mob of kangaroos, Fawn breaks down animal groupings by singing her own catchy song. 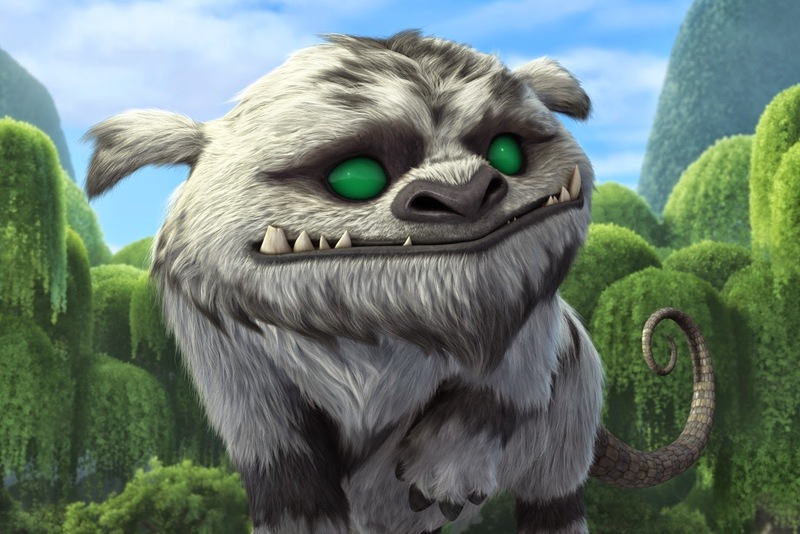 Gruff Love — Meet the big, lovable star of the movie with this musical montage featuring KT Tunstall's heartwarming song, "Strange Sight." Filled with laughter, heart, magic and thrills, Tinker Bell and the Legend of the NeverBeast has a running time of 76 minutes and is available today. If you have a fairy fan in your household, be sure to keep an eye out for this magical Disney film at your local retailers as well as from Amazon (where the Blu-ray Combo Pack currently retails for $22.92). To find out more, visit the Disney website and Pinterest page and connect with Disney Pictures on Twitter and Disney Fairies on Facebook. To get in on the NeverBeast fun even more, check out these activities and creations that will bring Pixie Hollow to your house as well! Other than the copy of The Pirate Fairy that I was provided in order to facilitate my review, I was not compensated or enticed to do this post in any way. This review is solely my honest opinion about this product. I am going to have to get this cute Tinker Bell movie and watch it with my niece! It looks like such a cute movie for the whole family to watch! I love the Tinker bell story. My little 3 year old loves the fairies and is desperate for me to get her this newest movie! That movie looks adorable. Would be fun to watch with my friend's granddaughter. my daughter is SO into fairies, she loves tinkerbell. I can't wait to tell her about this one! I have been seeing the previews for this on Disney Jr channel constantly and my granddaughter gets excited. Sounds like it is a cute movie. I remember watching Peter Pan 50 years ago and loving Tinker Bell.